Nick Diamonds hits the road today (September 4) to tour behind his synth-slathered pop LP, City of Quartz. Helping him launch the voyage in style is a newly unveiled single, an extra cut that didn't quite make it onto the artist's album. You can study his "Specimen Days" in an online stream. The track is spare but sublime, threading together the simple punch of a vintage drum machine with various undulating keyboard tones and the tuneful sadness of Diamonds' singing voice. Of an apparent collector, lost in a world of gold-covered ephemera, the singer notes: "Memories be your enemies." The chorus takes a more commanding approach as Diamonds reveals "I am from the future, I have come back to be with you." We're all the better for it. 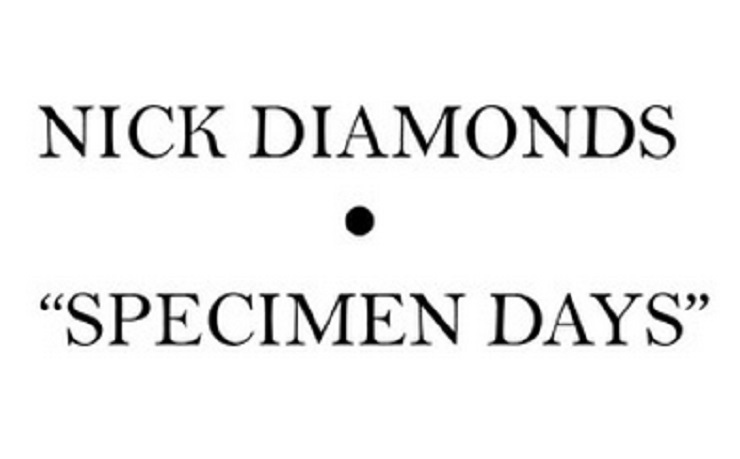 You can stream the bonus track below, courtesy of Stereogum, while Nick Diamonds' fall tour schedule can be found over here.